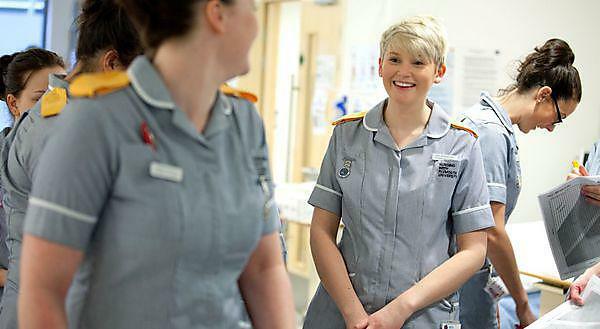 The placement area for students studying adult health nursing covers Devon, Cornwall and Somerset. Host Localities covers the healthcare needs for a particular geographical area. An indication of the areas of responsibility for each host locality is given below. You should be aware that travelling is required to reach each placement area. Below you will find the areas available to undertake practice placement with each Host Trust. Bodmin; Bude/Stratton; Callington; Camborne; Falmouth; Helston; Launceston; Liskeard; Newquay; St Austell; St Ives; Truro; and Wadebridge. Bodmin; Camborne; Falmouth; Helston; Launceston; Liskeard; Newquay; Penzance; Redruth; Royal Cornwall Hospital; St Austell; and Truro. Barnstaple; Bideford; Crediton; Exeter; Exmouth; Holsworthy; Honiton; Ilfracombe; Ivybridge; Langdon Hospital; Dawlish; Newton Abbot; North Devon; District Hospital; Barnstaple; Okehampton Community; Paignton; Plymouth Crisis Resolution; Sidmouth; South Brent; Tavistock; Teignmouth; Tiverton; Torbay; Torquay; and Totnes. Axminster; Barnstaple; Bideford; Budleigh Salterton; Cullompton; Exeter; Exmouth; Ivybridge; Newton Abbot; Okehampton Community; Sidmouth; South Hams (Kingsbridge); South Molton; Teignmouth; and Tiverton. Axminster, Barnstaple, Bideford, Budleigh Salterton, Crediton, Cullompton, Exeter, Exmouth, Holsworthy, Honiton, Ilfracombe, Moretonhampstead, North Devon District Hospital, Barnstaple, Okehampton Community, Ottery St Mary, Seaton Community, Sidmouth, South Molton, Tiverton, Torrington. Bodmin; Bude/Stratton; Callington; Camborne; Camelford; Falmouth; Fowey; Hayle; Helston; Launceston; Looe; Newquay; Penzance; Saltash; St Austell; St Ives; Torpoint; Truro; Wadebridge. Plymouth; Cumberland Centre; Derriford Hospital; Lee Mill; Mount Gould Hospital Local Care Centre; Plympton; Plymstock; and Scott Hospital. Callington, Derriford Hospital, Plymouth; Ivybridge; Kingsbridge; Liskeard; Plympton; Plymstock; Saltash; Scott Hospital, Plymouth; Tavistock; and Torpoint. Falmouth; Hayle; Helston; Launceston; Newquay; Penzance; Redruth; Royal Cornwall Hospital, Truro; St Austell; St Ives; St Michael’s Hospitals; Truro; Wadebridge; and West Cornwall Hospital. Axminster; Crediton; Cullompton; Exeter; Exmouth; Exmouth; Honiton; Okehampton Community; Royal Devon and Exeter Hospital Heavitree; Royal Devon and Exeter Hospital Wonford; Sidmouth; and Tiverton. Axbridge; Bridgwater; Burnham on Sea; Castle Cary; Chard; Crewkerne; Dulverton; Frome; Glastonbury; Highbridge; Ilminster; Langport; Minehead and West Somerset Hospital; Shepton Mallet Community; Street; Taunton; Wellington; Wells; Wincanton; and Yeovil District. Bridgwater; Chard; Glastonbury; Musgrove Park Hospital; and Taunton. Ashburton; Bovey Tracey; Brixham; Dartmouth and Kingswear; Dawlish; Derriford Hospital, Plymouth; Ivybridge; Newton Abbot; Paignton; South Hams (Kingsbridge); Tavistock; Teignmouth; Torquay; and Totnes.